Master Lopp received his 1st degree black belt in the arts of Taekwondo and Karate at the young age of 17 and has won many prestigious titles in competition. 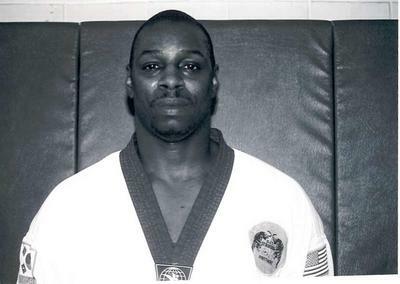 While giving 11 years of service to the U.S. army, he became a European martial arts champion, trained officers and enlisted soldiers in the art of hand to hand combat, and competed in the 1988 Taekwondo National held in Miami Florida, in hopes of making the Olympic team, and competing in Seoul, Korea. Master Lopp was a personal driver and bodyguard to a general of the 101st Airborne/Air Assault division at Ft. Campbell, Kentucky. In 2003, he was inducted into the World Martial Arts Hall of Fame as “The Instructor of The Year.” He currently holds a 8th degree black belt in Taekwondo, a 5th degree black belt in Karate, and has extensive knowledge in Hapkido and Hosinsul (hosinsul: self-defense). He has over 44 years of Martial Arts experience. Below is a brief look at Mr. Lopp’s history that made him the force he is today! These are just a few of the many tournaments that have made Mr. Lopp an International Champion and sought after martial arts instructor. 1979 – 4th in the A.A.U. Nationals held in Akron, Ohio. 1979 – A.A.U. Cleveland, Ohio District Champion. 1979 – A.A.U. Akron, Ohio District Champion. 1982 – 2nd place in the 7th Annual Glass City Open Championship. 1983 – 1st place in the Kent State University Karate Championship. 1983 – 1st place and overall (Grand Champion) in the Progressive Arts College Champions. 1986 – 1st place and overall (Grand Champion) of the U.S. Army-Allied Forces martial arts championship held in Berlin, West Germany. 1986 – 3rd place in the Fort Knox Military Open Karate Tournament. 1987 – 1st and overall (Grand Champion) of the Cleveland City Belt Championship. 1988 – Member of the All- Army Taekwondo Team (from 1988 – 1993). 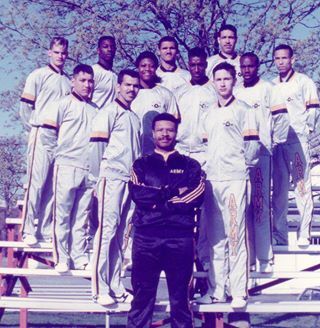 1988 – Fought in the “1988 Olympic try-outs (Taekwondo National Championships” in Miami, FL). 1991 – Deployed to Saudi Arabia. 1992 – 1st and overall (Grand Champion) in the American-European Open Championship. 1993 – All-Army and Armed forces Taekwondo Champion. 1993 – Grand Champion of the 16th Annual West Coast Regionals. And the list go’s on and on.